The Illinois House of Representatives just passed a historic school funding reform bill that will fundamentally alter the way we fund our schools and will improve the lives of millions of schoolchildren throughout Illinois! I was proud to be a chief co-sponsor of this legislation and work with my colleagues on both sides of the aisle to bring this bill forward. For an entire generation of students, we have perpetuated an education funding system that does not send our state dollars to the school who need it most first. We are past due for reforming our school funding formula. This bipartisan school funding reform agreement replaces our broken school funding plan with elements from the Governor’s School Funding Reform Commission and input from bipartisan, bicameral negotiations. This proposal will ensure all students in Illinois receive the high quality education they deserve. Moreover, this compromise prioritizes funding for our most impoverished schools and students while ensuring that no school district loses money. This plan is realistic, fair and represents the best outcome for all Illinois students. Getting school funding right is the most important thing we can do here – for our children, for their future and for Illinois’ future. 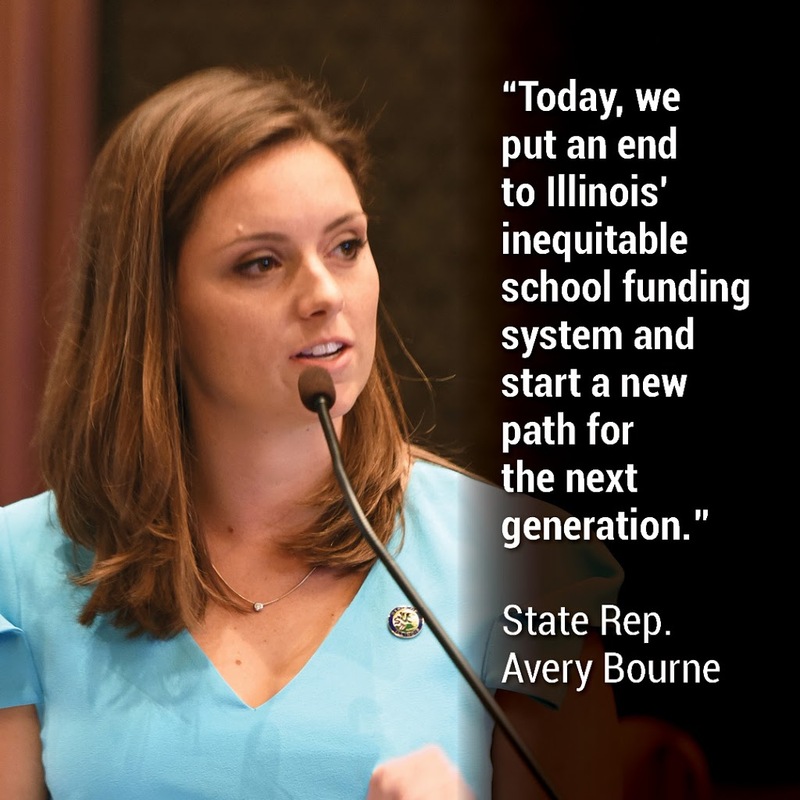 This is a good compromise that fixes the formula and gives the next generation of Illinoisans better opportunities for a high quality education.